So slowly but surely I have been chipping away at making the VCT fit in the available space. What a freaking PIA. 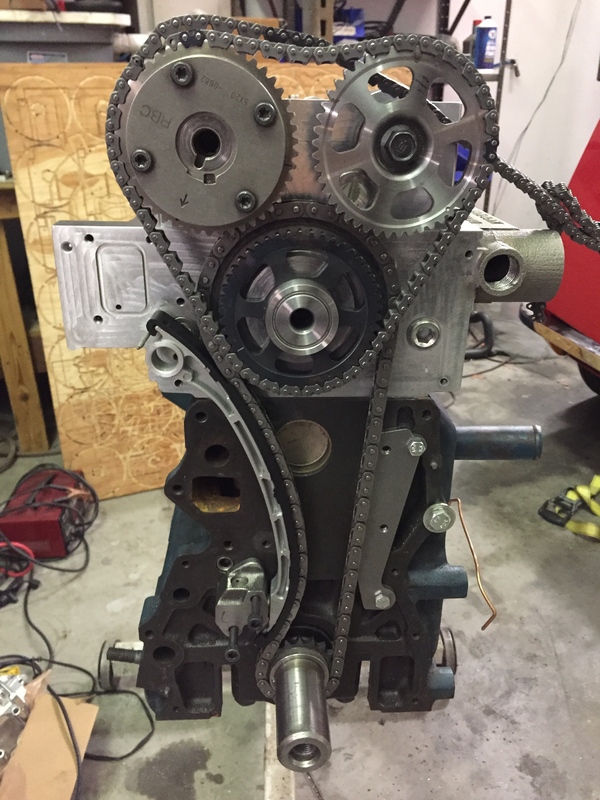 The problem with timing chains is you are constrained distance wise by the pitch of the chain and the adjustment can be a bit coarse. Multiply that by two and you can see how it can get tricky. I model things the best I can in 3D but when it comes to something like this I find a hands on approach leads to a more satisfactory result. 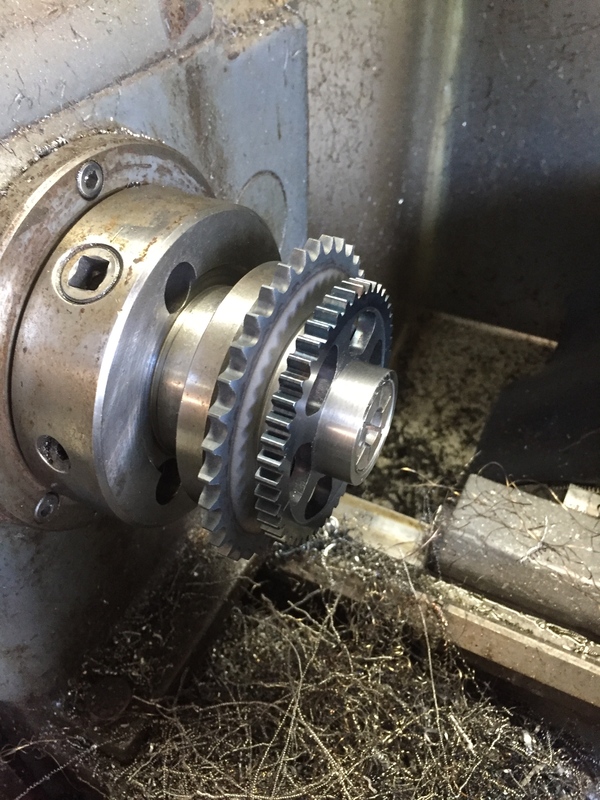 Machined of the small gear from the KA24 idler. I’m using a 5C expanding mandrel that I machined to fit. 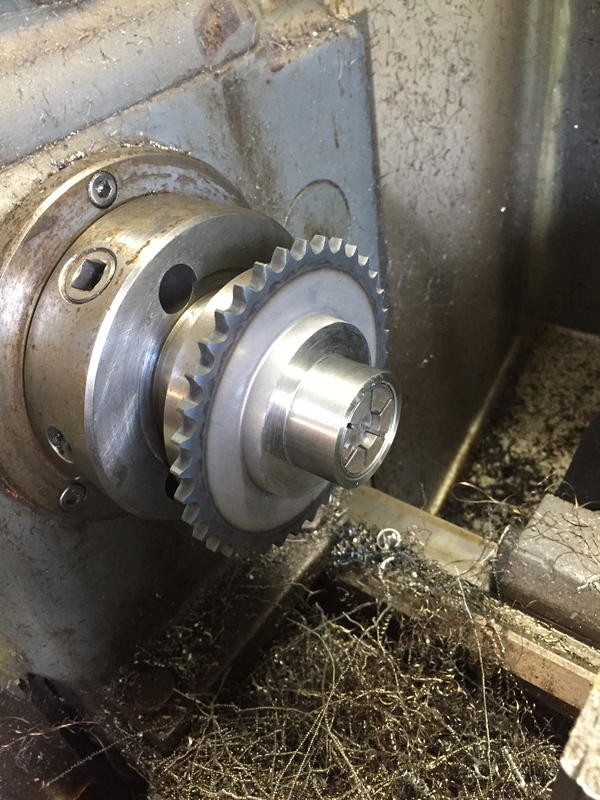 Test fitting the Honda exhaust cam gear that I machined previously. Happy with the fit for sure. 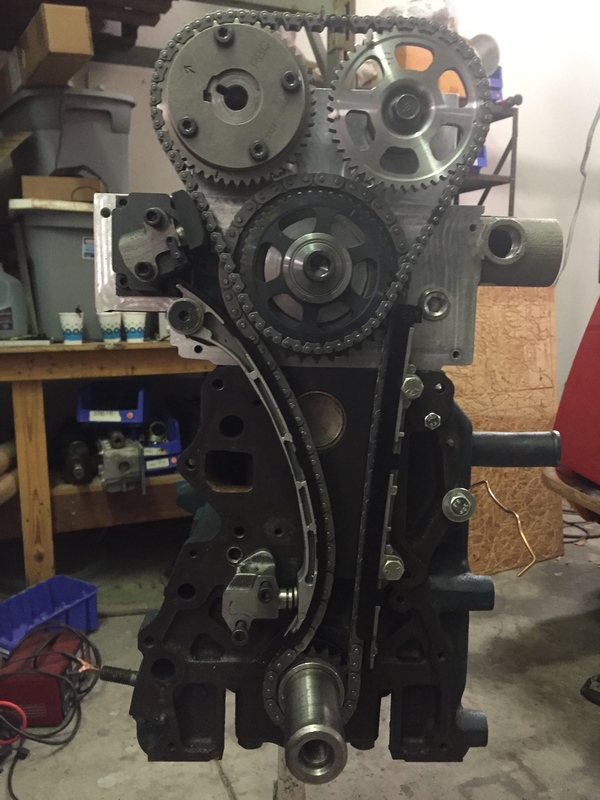 Quick test fit with the first idler sub plate. Looks good but I know from experience that there is a really long road from this point to the final fitting. 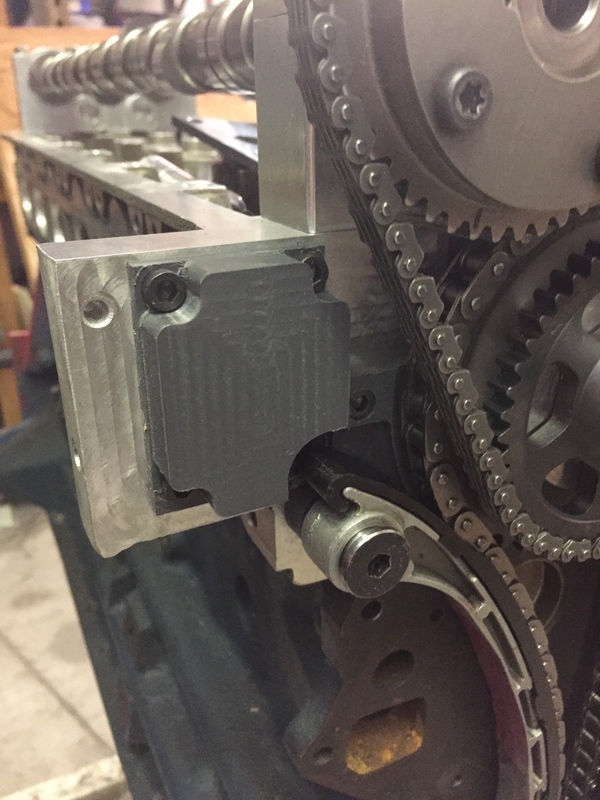 Here are the finalish mockup sub plates for the idler gear and the tensioner arm pivot. 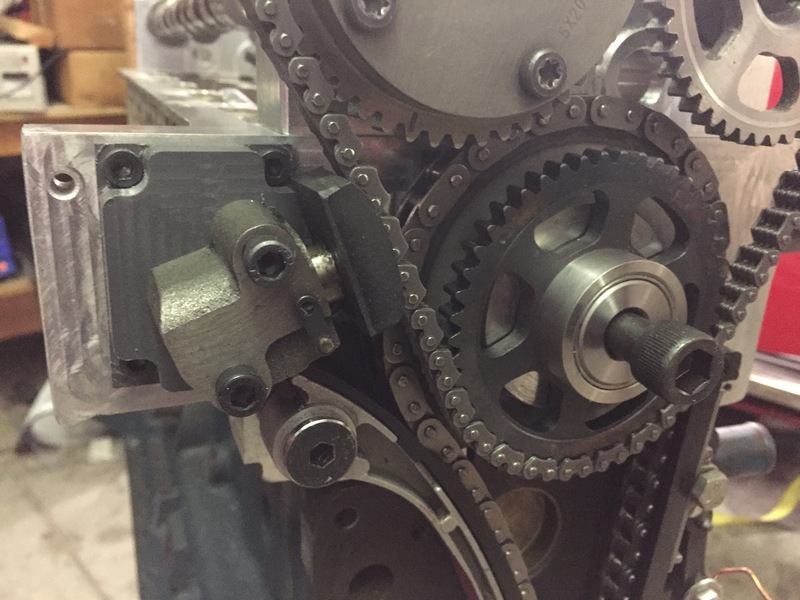 I may move the idler up another .010″ but I haven’t decided. I do the majority of my prototyping in plastic. Easier to work with than aluminum and a lot cheaper. 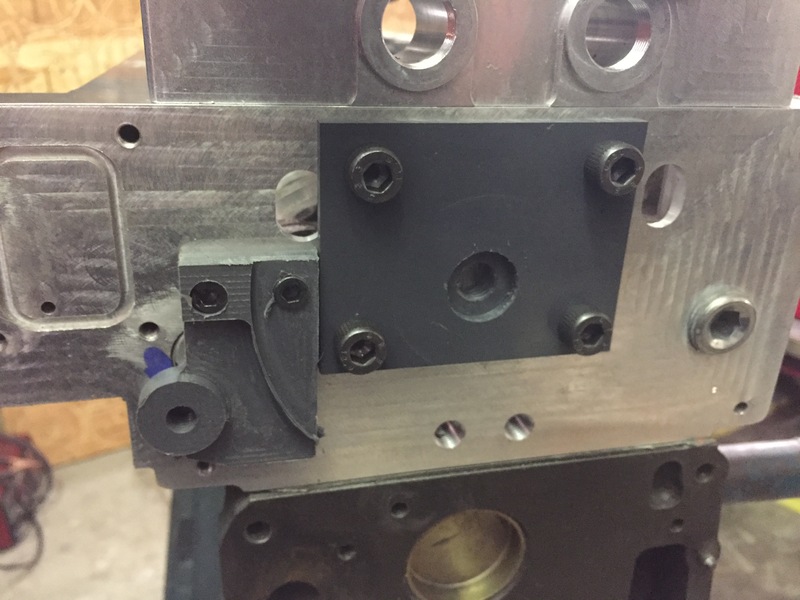 The idler plate will be steel and the pivot plate will be aluminum. Upper tensioner is from a Mazda 626. Hybridz member Tioga turned me on to this one . I reshaped the contact shoe a bit and slapped it on there. It is a ratcheting style. They can be problematic if the lobe design on the cams are crappy. The constant pumping on the chain can break the pawls. I’m making the assumption at this point the Schneiders lobe design is a lot better than Cranes and won’t be a problem. I had to reshape the contact shoe and will probably work it some more if I stick with it. Tight fit but the bottom line is….It fits. Which is a good thing since I committed to the cams before I knew for sure. Unfortunately I can’t access the VCT oil ports on the head because the idler gear is covering them but I already designed a manifold as a work around. 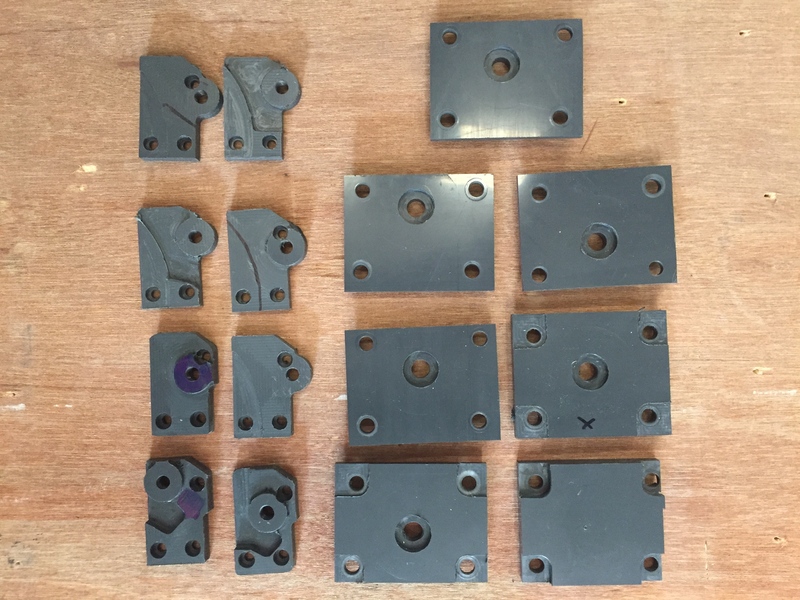 So if the pictures make it look like this was a walk in the park here is a shot of the different versions of the sub plates I made to get the relationship between all those moving components the way I wanted them as well as fitting in the space I had to work with.